The best wine clubs in 2019 should make it easy for you to enjoy wine at home. Whether you want to select your own wine of the month (we like WINC for this) or you want a savvy wine picker to do the work (think PLONK if this is more your speed), the best wine clubs offer a mix of wine selection, easy to navigate websites, clear service terms, and fun extras like food pairing tips. So how do you find the best wine clubs? As wine consumption continues on an upward trend and online wine purchases are on the rise, the number of wine clubs is rapidly expanding. We are lucky as wine consumers because there have never been so many amazing wine club options. Even the most basic wine subscription services allow you to customize your wine delivery. The best wine clubs will tailor your wine delivery boxes to meet your tastes and preferences. In an effort to assist consumers with the vast array of wine club choices, we created a comprehensive wine club selection guide to help you decide on the best wine club for you. We also put together this list of the top 25 wine clubs for you to choose from. On this list, we will cover the cost and value you receive with each wine club, the types of wines you receive, and any additional benefits you receive with your wine club subscription. Plonk or "cheap bulk wine" is certainly not what you get from this wine club. Plonk Wine Club will select and send you some of the most delicious and interesting wine you've ever tasted. They have a sharp focus on finding the best artisanal and sustainably grown boutique wines. Many wine clubs claim they will deliver unique varietals from out of the way producers. Plonk is just better at it! Want to learn more about our top wine club for 2018? Read our full Plonk Wine Club Review and our interview with Plonk Wine Club founder Etty Lewensztain. Price: Starts at $49.99 per month for two bottles + free shipping. How it Works: Select your wine preferences, amount of bottles, and duration so you can get a shipment catered to not only your tastes but your frequency of wine drinking as well. Plonk will curate wines based on your preferences and they will arrive at your door on the schedule you selected. California Wine Club is a California based wine club focusing on small family-owned wineries. 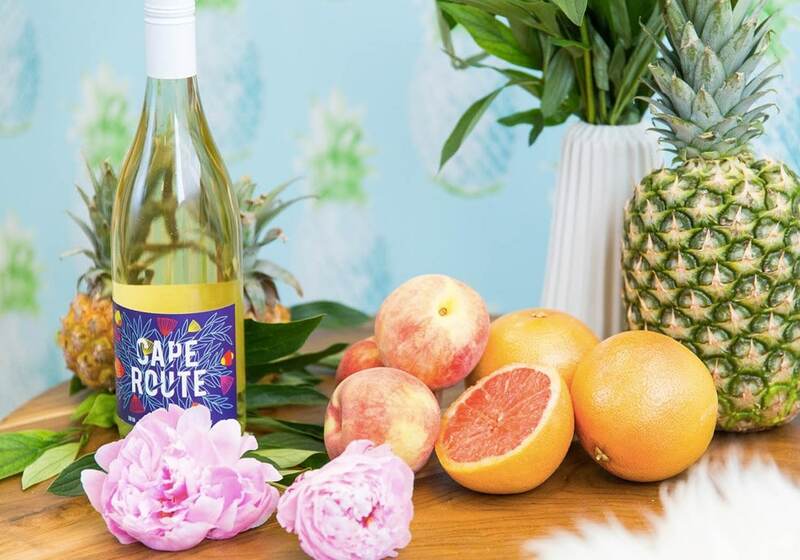 With long-standing customer allegiance and a generous ambassador referral program this is the luxury mom & pop shop version of a wine club you’ve been waiting for. Don't let the name fool you. The California Wine Club is more than just one of the best California wine clubs. They offer international wine boxes and wine subscriptions that cover other regions in the US. Want to learn more about this wine club? Read our detailed review of the California Wine Club. Price: Memberships Starting at $40.45 per month plus shipping. How it Works: California Wine Club has five different membership options. These wine club subscriptions feature two wines per month. Each option features a specific style of wine based on your preference. These options range from classic handcrafted wines in the premier series to prestigious wines in the aged Cabernet Series wine club. Advantages: Love It Guarantee, Ambassador Referral Program (earn money when your friends sign up for there wine of the month club), no hidden fees, & cancel anytime. Are you looking for a NAPA VALLEY WINE CLUB? The California Wine Club has one of the best. You can learn more about it here. Winc is a California-based winery with an exploding online wine club membership. Sign up for the Winc wine of the month club and experience trendy options ranging from canned Rosé to classic wines. This is already one of the best wine clubs and they continue to improve it. 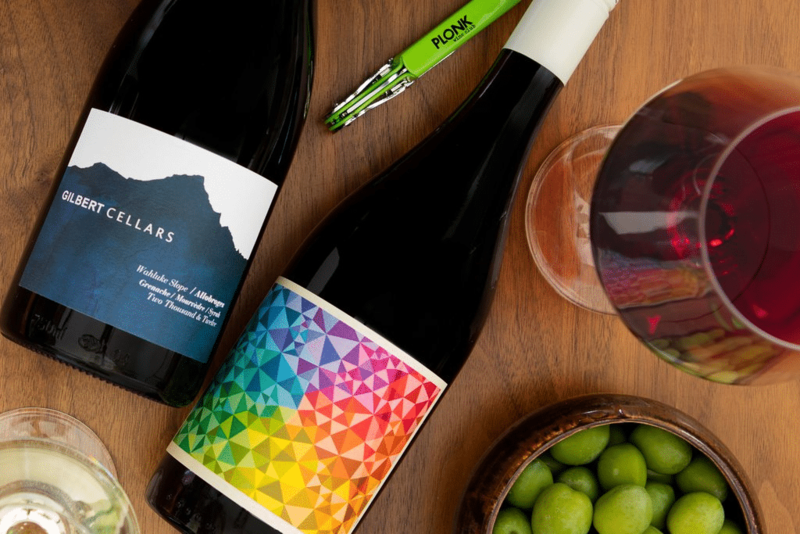 Winc partners with wineries from California and beyond to craft unique wine offerings. 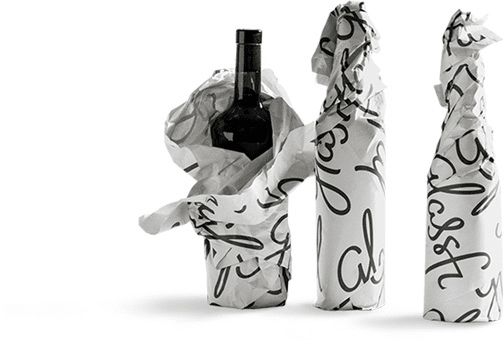 They are definitely one of the most creative wine subscription services. Their wine delivery boxes are totally customizable and there is a big selection (over 60 wines) you can choose from. Winc also runs interesting seasonal promotions like their Summer Water club. This summer-long pink wine delivery service was intended to keep your pool parties and trips to the beach well lubricated! Do you want to receive the best of the best each month? You can sign up for the Winc select wine club. Members that opt for Winc Select get first dibs on all of the premier bottles. Read our interview with Winc's head of winemaking here and find our detailed review of the Winc wine club here. Price: No charge for membership. Bottles start at $13. How it Works: You will take a short 6 question Palate Profile™. Then, Winc will send you wines specifically chosen for you based on the results. After you receive and try your wines, you can submit ratings to better personalize your next shipment. 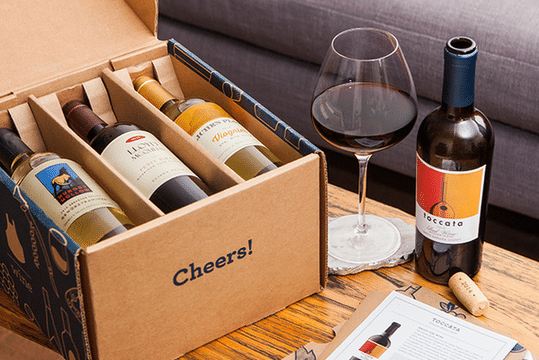 This is one of the most customizable wine subscription boxes you'll find online. Advantages: Complimentary shipping on boxes of 4 or more, Satisfaction Guarantee, Skip any month's shipment with no charge, no long-term commitment, detailed wine descriptions and pairing ideas on the Winc.com website. Gold Medal Wine Club is a wine of the month club featuring wine from family-owned wineries all over the world. Authentic and small production wines are the heart of this wine club. The wine and wineries that make it into this club must meet strict qualifications to be selected, including awards won for their wines. This is one of the best wine clubs for anyone who is serious about finding high-quality small production wines. You can read our detailed Gold Medal Wine Club review here. Price: Memberships starting at $39 with free shipping on over 6 bottles of wine. How it Works: There are 6 different club options to choose from ranging from the Gold Club featuring wines from the best boutique wineries all the way up to the Diamond Wine club featuring luxury and collectible wines. This wine club is based in the Seattle, Washington area. Cellars Wine Club was founded in 1999 making it one of the earliest online wine clubs. They have expanded since then, but continue to use their expertise in relationship building and wine tasting to deliver great wines to their members. 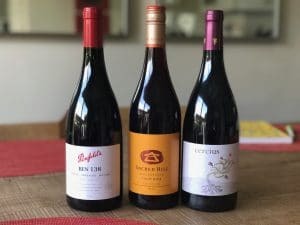 This is a great wine subscription service for lovers of boutique wines and it has one of the best web stores we've seen from any of the wine subscription boxes out there. You can get more detail from our review of Cellars wine club. This is also a great wine subscription service for lovers of West Coast wine. Cellars wine club has formed relationships with many of the top producers out west! Price: Single bottles start at $29 while double bottle clubs start at $42 with free shipping on all orders. How it Works: Choose from 14 different club options starting from the premium club, the perfect wine subscription for wine novices, all the way up to the connoisseur's case club featuring 12 bottles from world-renowned regions. Advantages: Free shipping, “No Bad Bottle” Guarantee, Cancel Anytime. Clean and easy to navigate website. Finding and ordering on CellarWineClub.com is a pleasure. 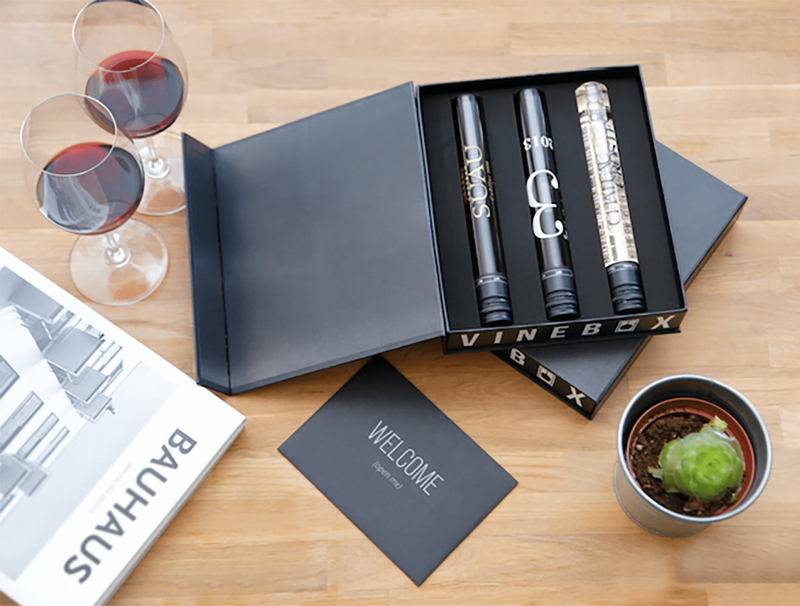 Vinebox is all about small production wine and getting high-quality wine straight to you. The difference is, Vinebox sends you wine by the glass instead of by the bottle. How cool is that? This is where you need to be if you want to try high-quality wine for a fraction of the cost. While this may not be for everyone, we consider this unique wine of the month club a top wine club for anyone looking to taste a variety of high-end wines. This is also a really fun wine subscription gift because it's unique and will appeal to a wide range of wine lovers. You can read our Vinebox review to learn more about why this is one of the best wine clubs around. As we mentioned above, this is a wine by the glass club, but if you enjoy the wines you sample, you can order the whole bottle in your next shipment. Being a member of this wine club is like having a personal wine tasting room at your house. Price: Starting at $25/month for 3 glasses. How it Works: Take their short quiz and they will send you 3 glasses of wines hand chosen for you each month. Click Here | Order the special Wine Advent Calendar for the 2018 Holiday Season! Wine Down Box is a monthly wine subscription that is perfect for people who love cheese. This company cares about the relationship between quality food & wine and the people who consume it. Monthly wine, cheese & charcuterie pairings delivered to your door. This is one of the best wine clubs we have found for convenience. You not only get great wine, but the pairings are done for you! Price: Starting at $70 per month with lower prices the longer you subscribe. 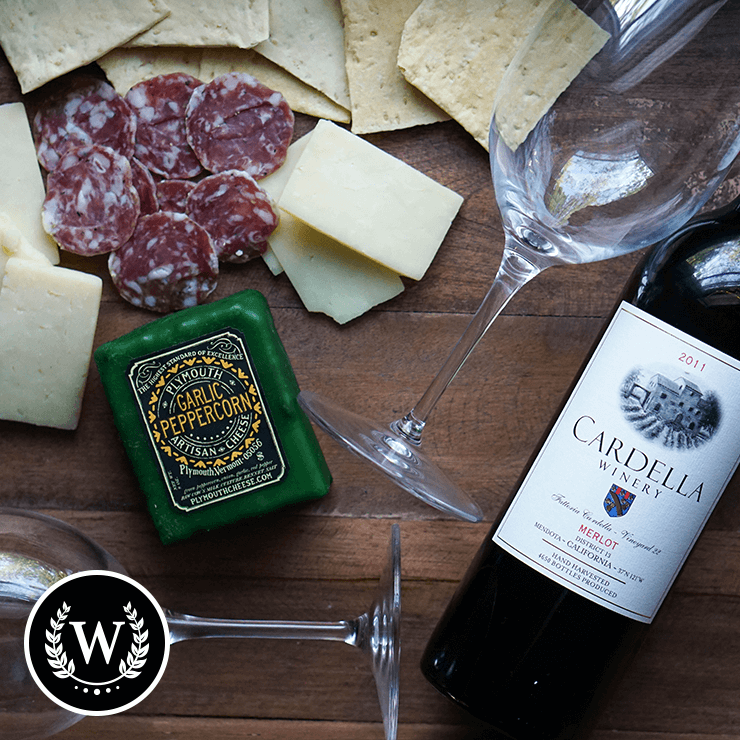 How it Works: Every month you get a quality California wine, fresh artisan cheese, salami or cured meat, and handmade crackers in your curated wine and cheese subscription box. Read our review to learn more about this amazing wine and cheese subscription box. Advantages: You get to try new food along with your wine, no long commitment. This is easily the best wine club for anyone who needs help pairing their wine and cheese. This is the company that started it all. They pioneered the idea of sending a monthly shipment of wine to your home. This was before the internet (yes, there was a time before the internet). The wines are selected through monthly blind tastings. Only the top 1% of wines tasted are selected to ship to club members. The default shipment includes one red and one white. This is a straightforward club with no gimmicks, just really good wine. Who wouldn't want to be a part of the original wine of the month club? Price: Memberships starting at $23.96 a month. How it Works: You choose the series and amount of wine you would like, plus your choice of red wine, white wine, or a mix of both. Every month you will receive vintage wine with their newsletter full of wine information, recipes and more. Advantages: You never pay for a bottle you don’t like, cancel anytime, no membership fees. 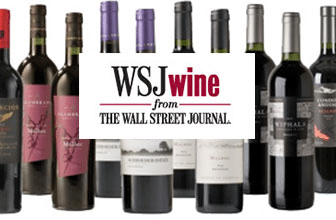 Wall Street Journal Wine Club is the perfect wine subscription service if you want an abundant array of choices and selections. They have a unique discovery club that delivers every 3 months. It is packed with a multitude of wine options. The WSJ club is one of the best wine clubs if you want to try absolutely everything the wine world has to offer. Price: Starting at $69 every three months plus $19.99 shipping. How it Works: Check out their wine discovery club and you get a tailored case of 12 wines delivered straight to you every 3 months. Glassful offers ultra-premium wines for less. They focus on unique, organic, biodynamic wines. With the trendy packaging and unique palette quizzes, this is the up and coming wine club you will want to be a part of. We won't be surprised if this club moves up our list of the best wine clubs over the next few years. Price: 3 Premium Bottles for $54 a month with free shipping. How it Works: First, take their unique palette quiz so they can customize your wine subscription box for you. Then, expert sommeliers choose wines to match your taste. Drink and rate your wine so your boxes can improve over time. 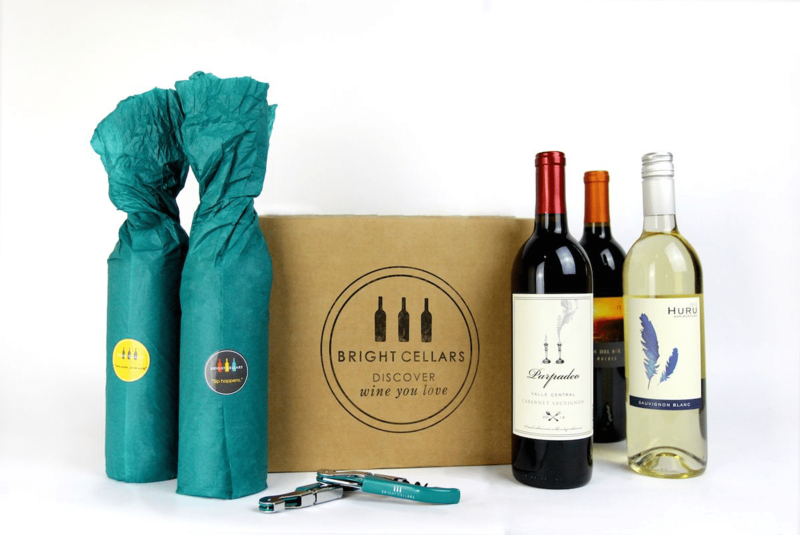 Bright Cellars is all about helping people discover the art of drinking wine. They have a great referral program to earn bonus bottles of wine, so it's the perfect place to be to share wine with your friends! This is the wine club where social networking means free wine for you. Price: $60 a month for 4 bottles of wine plus shipping. How it Works: Take their short wine quiz and they will match you with 4 wines specifically for your taste preferences. Their Bright Points algorithm is truly one of a kind-so that your wine shipments will truly be catered to your tastes. Rate your wines after you try them and your shipments will improve from there! Advantages: No Commitment, No membership fees, Referral Program, Satisfaction Guarantee. Tasting Room is focused on providing their customers the best wines from all around the globe at a price everyone can afford. They are a unique wine club in that, you get to taste the wines before you purchase a full membership. They create your profile specifically based on your tastes and not just a clickable quiz. That makes this one of the best wine clubs for anyone who is still learning their wine palette. We like this unique approach for a wine of the month club. Ultimately, tasting wine is the best way to ensure your monthly wine subscription will arrive with the perfect wines for you. Price: $9.95 to join and get your mini tasting kit. How it Works: You fill out a quiz for them to customize your tasting kit. Then, you will get a small box of 6 mini wine bottles to taste and rate. Tasting Room will then create your wine profile that details the wines and tastes you prefer. You then will get to choose a full-size shipment of handpicked wines delivered to your door. Advantages: Satisfaction Guarantee, Referral Program, No Obligation. The Panel is a wine club with rigorous testing and standards. They have a limited club membership because they ship limited production wine. You may find there is a waiting list to join. The Panel is one of the best wine clubs to be in if you are a wine connoisseur. This is a California based wine club has a major added benefit. They have a location in Sonoma, California that is open to club members. You can stop by a taste a selection of the wines they keep on hand! You don't find that with many online wine clubs or wine subscription services. Price: Clubs starting at $99 per month. How it Works: Once you are in the club you will choose between 3 different club options. You will receive only top rated and highly sought-after wine in your shipments. As part of your club membership, you will be invited to exclusive dinners, events, and tastings. Advantages: Prestigious Wine Club, Member Benefits, wine tasting in person at the wine club tasting room. Wine Awesomeness is all about value and simplicity. They find the wines that you probably wouldn’t. You get incredible wines with a unique guarantee that you won’t be able to curate the same box for less, or you get a free year of wine! That makes this one of the best wine clubs for the money. Wine Awesomeness also provides a nice guide in each box they send. This guide helps you get the most out of the wines with helpful pairings and a backstory for each bottle. This is a fun and educational bonus that comes with your wine subscription. Price: $45 a month for 3 wines. 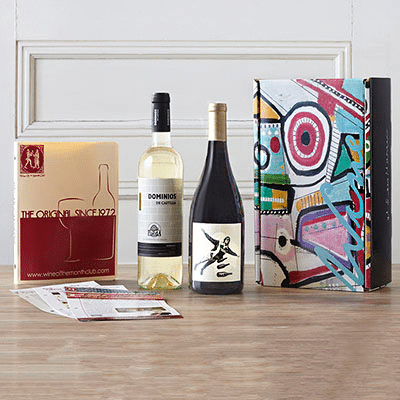 How it Works: You get a trendy and awesome (hence the name) monthly themed wine box. You choose from either 3 red wines, 3 white wines, or a variety of one red, one, white, and one sparkling wine or rosé. Advantages: Simplicity, free shipping, low price guarantee, no obligations, a fun guide that ships with each box. 15. Martha Stewart Wine Co.
Martha Stewart Wine Co is the club you’ve been looking for to order the best of the best wines to serve for your dinner parties or drink alone. Who wouldn’t want a wine subscription box curated by the one and only Martha Stewart at their next dinner party? The wineries Martha is working with makes us think she will make this one of the top wine clubs soon. One of the added benefits of this wine club is the wine education guides that ship along with your wine subscription box. Martha's team wants to make sure you appreciate the wine you are drinking. Becoming a more educated wine consumer is a key to enjoying this amazing beverage. Price: Starting at $59.99 for 6 bottles the first month. The price increases to $87.99 after the first month. How it Works: Select a wine pack that is chosen by Martha, perfectly paired with your meal or event. Every 6 to 8 weeks your wine selections will be delivered to you based on your preferences. Love your wine or it will be replaced for free. It’s that simple! 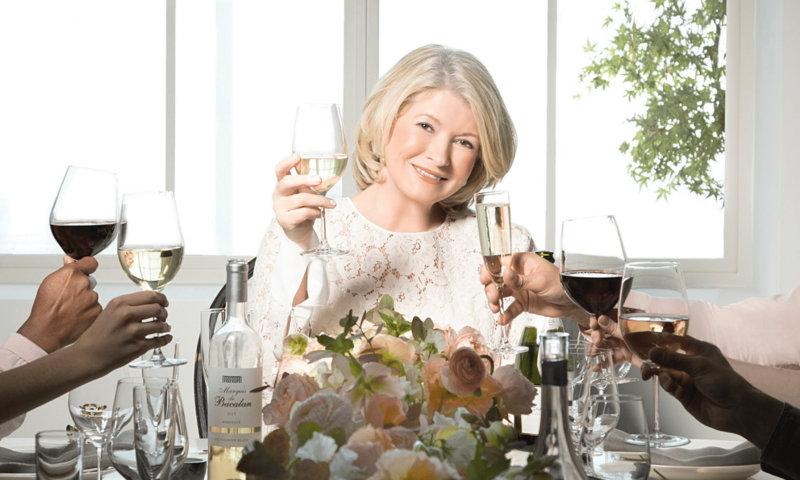 Learn More About The Martha Stewart Wine Club Here. We had some reservations when we first heard about the Nocking Point Wine Club. 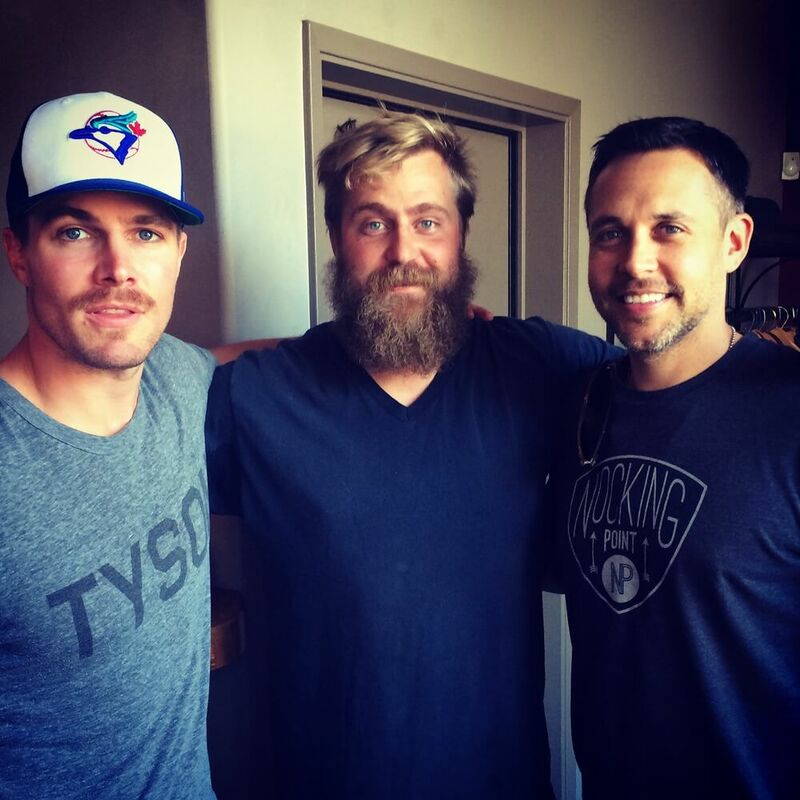 Sometimes celebrity run passion projects are more about ego than delivering great wine. Our minds were quickly changed with the first wine subscription box we received from this wine club. It was clear they had a great formula. The fun aspect of the club doesn't get in the way of delivering high-quality wines from the Pacific Northwest. And the celebrity merch you receive in your wine shipments is actually nice, not just an afterthought. Consider us fans! Price: The monthly wine club includes 2 bottles for $49. The shipping is free. The quarterly wine club is $99 for three bottles but also includes cool gear and coffee. How it Works: Decide if you want two bottles per month of three bottles four times a year (plus fun extras). Guest celebrity winemakers will curate the boxes with their favorite wines. You'll receive expertly crafted wines from Washington state (one of the most exciting wine regions in the US). Advantages: This is the perfect wine subscription if you want to have a little fun with your wine. The celebrity angle adds a unique twist to the typical wine of the month club. The "merch" you receive makes opening every box a little more like a special present just for you. Blue Apron is one of the original farm to table food delivery services and now they are offering one of the most unique wine clubs around. They are passionate about sustainability and removing the middleman to reduce eco-impact and pricing for customers. The smaller format bottles are a great idea. The wine quality isn't going to impress a sommelier, but they are a nice when accompanying the Blue Apron meal. Is this a top wine club for aficionados? We would say probably not, but it's an easy way to get wine pairings. How it Works: Select all reds, all whites, or mix and match your favorites, and 6 bottles of 500 mL wine bottles will be sent to you. These bottles are 2/3 the size of normal wine bottles so they are the perfect size for two people to share. With every shipment, Blue Apron will include tasting notes, tips, and the story behind each wine. This is one of the best wine clubs for busy professionals who like to have wine paired with their meals. Advantages: Smaller size bottles so you get more bottles for less, Skip or Cancel Anytime. This is for all creamy, buttery, Chardonnay lovers. Chardonnay Box finds the best of the best chardonnays from midsize and boutique wineries to include in your monthly wine subscription box. Obviously, if you are a Chardonnay lover, this one of the best wine clubs you can find. Price: $55.49 per month, with tax & shipping included month for two bottles of Chardonnay. How it Works: Choose from one of three options. Try before you buy, you will receive one bottle of Chardonnay for $31.49, if you don’t like it you will receive a full refund with no questions asked. When you do love it, you will be enrolled in the 3 bottle wine of the month club, or you can log in and choose the 2 bottle per month club. Every month following, you will get new bottles of Chardonnay shipped to your door. Advantages: Try before you buy, taxes & shipping included, no commitment, a top wine club if you always want creamy buttery Chardonnay in the fridge. Wine Express claims to offer the best wine club for the money- guaranteed! They pride themselves on quality, value, and personal attention. They have great flexibility with their memberships with 3, 6, 12 months, and unlimited options. 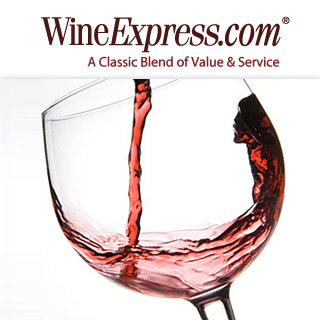 Wine Express is affiliated with Wine Enthusiast so you can be confident they know their wine. Price: Club Options starting at $49.95 per month for 3 bottles. 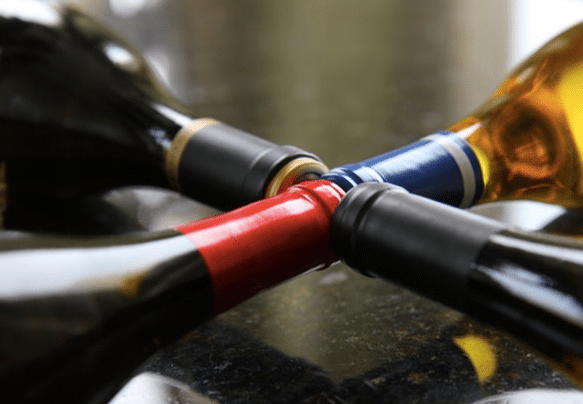 How it Works: You choose your club options between red, white, or mixed wine choices. You then choose how long you want your shipments to continue and you can cancel anytime if you choose the indefinite option. 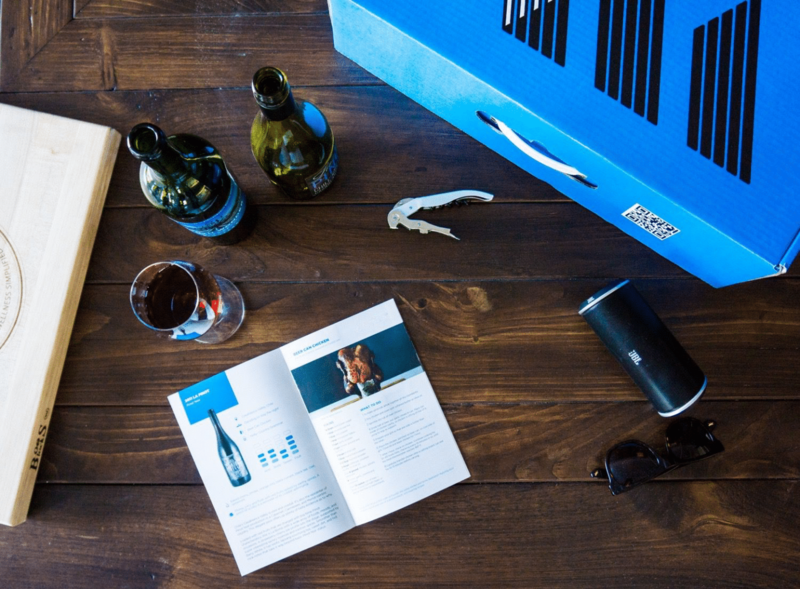 Kuvée pairs wine with technology unlike any other wine of the month club. 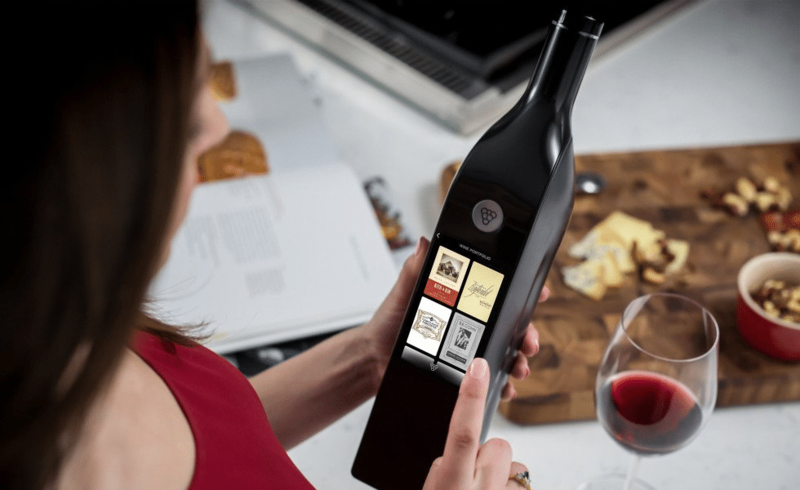 With a wifi enabled dispenser that tells you all about your wine, pairings, and much more. Plus, an awesome wine dispenser to impress all of your friends. This is one of the best wine clubs for anyone who loves innovative ways to enjoy wine. Price: Memberships starting at $99 for four wines, including a $10 monthly charge for the dispenser, which you can keep after 12 months of shipments. How it Works: Kuvee sends you curated bottles based on your real-time input, so each wine you receive is customized just for you. With their FreshPour technology, you will be able to enjoy your wine for weeks after opening it. Advantages: Smart Dispenser, FreshPour technology, Pause or Cancel Anytime. You Haven't Found The Best Wine Club Yet? We are sorry you haven't picked a top wine club from the list. But, we are so excited to add a few more top wine clubs to our list. As you can see, the best wine clubs offer a range of wines, great customer service and, the very best wine clubs, throw in a few extras. We think the next three wine clubs belong on our list of the 20 best wine clubs and subscription boxes are worthy of your consideration. Any of these wine clubs will make a nice monthly wine subscription gift. So what can we do you ask? We are going to add them as a bonus. These clubs all have major strengths, so please consider them when you are making your final decisions on which top wine club makes sense for you. This wine club follows the model of many negociant wineries in France. They discover top quality fruit that isn't being put to good use. They buy up the juice and bottle it. They don't disclose where the vino comes from, but they make it clear this wine of the month club is all from 90+ wine. They also have a nice store where you can purchase bottles you enjoyed in your last wine subscription box. Price: You can order 3 bottles per quarter for $50. The $50 includes your wine club shipping. You can also elect to go with the 6 bottles per quarter option for $95. How it Works: Just select the number of bottles you want to receive each quarter. You can either select a mixed bottle wine club or, if you are going for six bottles, you can select an all red wine club or mixed. 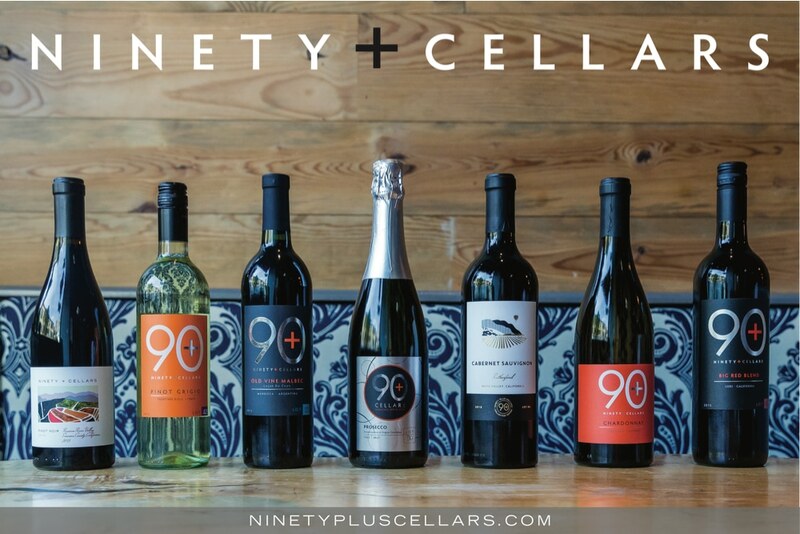 Advantages: You get discounts on orders from the ninetypluscellars.com website. You also get detailed tasting notes, but the biggest advantage is the wine. Their unique model means you are getting premium wine at a big discount. That makes this a top value wine club. This is the wine club that learns with you. First Leaf uses an iterative approach to delivering the perfect wine. Each time you receive a shipment of wine from the First Leaf Wine Club you are encouraged to rate it. They feed your ratings into their wine matching system. The more wine you drink and rate the better this wine club becomes. This is how First Leaf becomes your favorite wine club in no time! Price: This wine club gets you started with an affordable shipment. They want you to try the wines and build your profile. The first delivery is only $15 for 3 wines. They also charge a shipping fee of 4.95. Your regular shipments of 6 bottles cost $79 plus 9.95 for shipping. How it Works: Sign up for the club and get your first shipment. Go into the system and rate your wines. The next shipment will be customized based on the feedback you provided. Advantages: Firstleaf negotiates prices directly with the wineries. This cuts out the cost of the middleman. They also have technology that ensures your wine club shipment is tailored to your tastes. We can see this wine club moving up our list quickly. 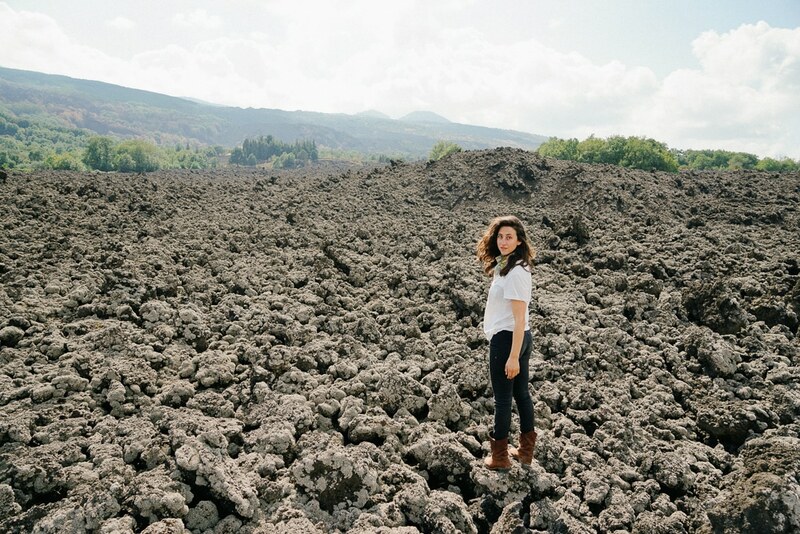 Ashley Ragovin is the brains behind this wine picking operation. Ashley is just a badass when it comes to finding the best wine values out there. Her pedigree is in the world of fine dining. She made sure a number of restaurants in the Los Angeles area were well stocked with wines to impress diners. From that, she set out to create the best wine club for serious wine drinkers who enjoy having their sips dropped off at the door. That can be a nice alternative to trolling the local wine markets in hopes of stumbling on a nice bottle! This is one of the best premium wine clubs available today. Price: You pay $125 to join the wine club. Three wines are sent to you each month along with tasting notes and some other fun swag. This is a little pricier than some of the others on our list of the best wine clubs, but you are really buying quality. You are also getting the value of Ashley's contacts and wine picking skills. Totally worth it! How it Works: Wines ship out once a month around the start of the second week. Then you enjoy the hell out of your monthly wine box. Advantages: As we said, this is really for people who are into great wine. You will not replicate this wine subscription box at the local wine store. These are not supermarket wines! This is the wine club you get when a bunch of Napa Valley insiders and various sommeliers get together and start talking wine. As you can imagine, the results are very good. The philosophy that makes this one of the best online wine clubs is simple, find the best wines at the best price. This wine club's buyers have industry connections the average wine lover can only dream about. That means your wine subscription box is filled with premium wines and not mass produced plonk with fancy labels. Price: You can select either a four-bottle wine club delivery at $130 per month or a six-bottle delivery at $190 per month. Both options include a 10% on all purchases you make on the Wine Access website. How it Works: First you tell Wine Access if you want your wine subscription box to include all red or a mix of red and white. Once you are signed up, the wines ship each month in a climate-controlled box. Then the fun starts! Open your wine club delivery and pop open a bottle or two. Advantages: You are getting access to some great bottles of wine. They will refund your money if you ever receive a bottle that doesn't suit your tastes. That alone makes this one of the best wine clubs out there. Click on this link to sign up for the Wine Access wine club | Experience wines you couldn't get before! We've reached the end of our list of the best wine clubs. But that doesn't mean Revel is in the back of the pack. This is a great wine club for anyone who is interested in natural wines or wines that are very low in sulfites. The club was created by the geniuses behind Chronic Cellars and Rebel Coast wines. They employ eight winemakers who scour the world for great vineyards to work with. After his exhaustive search, they make wines you will love using methods that respect the earth, the grapes, and your palate. Price: First, you need to choose how many bottles you want in each wine club shipment. You can select from 3 to 12 bottles of wine in each shipment. The price of the three bottle wine club is $39. The cost of the wine by the case club is $144. How it Works: You get to select what you want in your shipment. Are you an "all red" type of drinker or do you prefer a mix of red and white wine? It's up to you to decide what comes in the box. Next, you need to decide how many wines you plan to drink. You can receive your shipments every month or spread them out as much as one every three months. You can always skip a month or make changes to the wine in your shipment. Advantages: We love this for anyone looking for an organic wine club or for the best wine club offering low sulfite wines. As a member, you get access to a number of great wine brands. You also get access to free wine tastings at the Chronic Cellars winery in Paso Robles and Jamieson Ranch in Napa Valley. Thank you for reading through our comprehensive list of the best wine clubs out there! I hope you find this helpful in your venture to join the perfect wine club. Please feel free to read our disclosures if you want more information about our relationship with the wine clubs in our article. Cheers! This is an AWESOME list and congratulations for simply amazing research. It really is something to see what an impressive array of options the wine consumer has. At Cellar Angels we researched wine-clubs for 14 months before launching Cellar Angels’ two wine clubs. I wish I would have found you earlier! Have a sensational day and thank you for the information. There really is something for EVERY wine drinker out there and you’ve made it possible for them to find a club which fits. Nice job. I had a horrible experience with Tasting Room. Their wine was not good at all. I selected the Old World samples. I love full bodied wines with oaky flavors, Pinot Noirs, Merlot, And buttery Chardonnays. The wines weren’t palatable at all. I threw them out. I went online to cancel my membership. To my surprise the next month a full shipment of wine came which I refused delivery. I called Tasting Room. I told them I had canceled my membership. They said I never responded to their email. I never received an email. They will not honor your cancellation without you responding to their email which they don’t inform you of on their cancellation process. So they advise me that if I cancel they won’t refund my money on the shipment I just rejected. That was $130 plus. So I said, you won’t work with me to honor my attempt to cancel, now you won’t refund my money unless I stay as a member. But if I cancel tomorrow. What will happen. Well we don’t advise it…. So I stay on as a member, Cancelled my membership so I thought. But then another shipment comes a few days ago and again I refused shipment I call Tasting Room again. I explain everything again and ask for a refund. The guy was so arrogant and rude. He refused to acknowledge my cancellation, refused to not refund my shipment I just rejected. Finally agreed to a refund of the wine but not the shipping charges. Seriously it was the worst customer service attitude ever. I then call Capital One. They got Yasting Room on the phone in a recorded conf call. Meanwhile as we are working this out I get an email from Tasting Room saying they won’t refund my entire purchase at all since it was delivered before my official membership cancellation. The rep insists that what I’m reading back to her was not what they had sent to me. It was so sketchy and deceptive. Ultimately. I’m to be refunded in full. Thanks to Capital Ine this should finally be resolved but it’s not been easy or pleasant. Plus did I mention. Their wines aren’t worth it. So….. Buyer Beware. No business can operate successfully with this kind of attitude and lack of service, let alone quality wine.